Welcome to the second in a series on health and nutrition myths…that aren’t true. If you missed the first piece, we debunked the myths that, Calories are the Key to Weight, Diet Alone is Enough to Keep You Healthy and that All Supplements are Created Equal. If you missed it and would like to catch up, you can read it Here. Now as promised, let’s look at FAT. 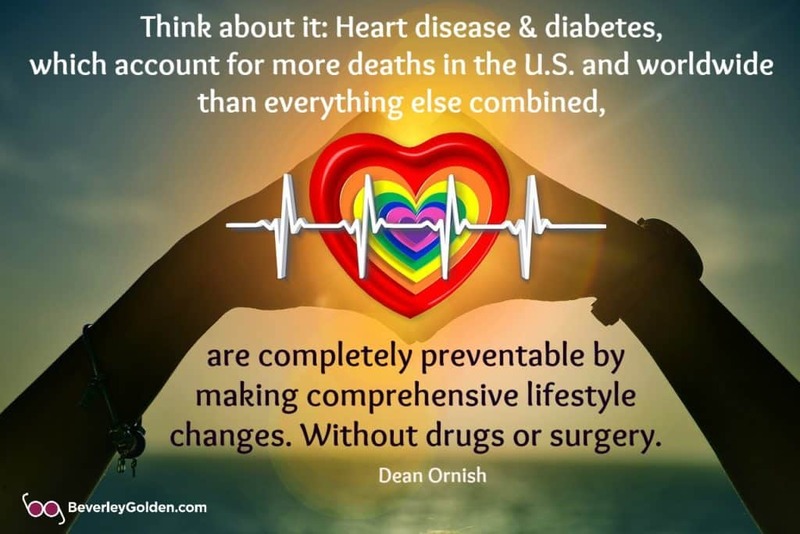 When I think about fat and heart disease, I remember my cousin’s wife telling me that she was dramatically changing her diet to exclude saturated fats. Why? Because heart disease ran in her immediate family. My own father had died at a very young age from a heart attack, so I was curious to see if there was truth to this. As I learned throughout my own trial and error dieting, good quality fat is essential for proper functioning of many of our bodies critical functions. So where did the myth come from? Pretty dramatic, right? This statement actually came from an unproven hypothesis plus highly flawed studies and political decisions from the mid-1950’s that have now been proven to be completely inaccurate. The idea that saturated fat caused heart disease was a myth all along, yet somehow it took hold and both the media and health professionals accepted as fact, that “artery-clogging saturated fat” was harmful to us. In truth, saturated fats from animal and vegetable sources are the building blocks for cell membranes and for a variety of hormones and hormone-like substances. Without them, your body cannot function optimally. A massive review article published in 2010 examined data from 21 studies and a total of 347,747 individuals. It found absolutely no association between saturated fat and the risk of heart disease. It’s also the preferred fuel for your heart! As it Turns Out: There is absolutely no evidence that eating saturated fat is associated with heart disease. It’s a myth that was never proven. Do you remember several decades ago, when we were all strongly advised to eat a low-fat, high-carb diet? The crazy thing is that at the time, there wasn’t even one single study showing this diet could prevent disease! Yet, many people went off and followed the expert’s advice. Sound familiar? Maybe you or someone you know were one of them. When I travel to the U.S., I’m always surprised to see how the low-fat/no-fat mentality is pervasive in the food industry. Especially in the dairy industry. When I look for healthy full-fat yogurt on the health food stores shelves, all I find are no-fat and low-fat versions. And with the volumes that people buy, it seems this ‘myth’ has permeated the popular consciousness. You probably know now that it is trans-fats that increase your risk of obesity, diabetes and heart disease. Right? Not sure if the foods you’re eating are trans-fat free? Here’s a good list of foods from the Cleveland Clinic showing which popular foods trans-fats are prevalent in. Thanks to numerous high-quality studies, including the Women’s Health Initiative, which is the largest nutrition study in history, the myth has been dispelled. The results showed that this type of low-fat, high-carb diet definitely does not promote weight loss, prevent cancer or reduce the risk of heart disease. As it Turns Out: There are now numerous studies on the low-fat, high-carb diet. The results consistently show that it has essentially no effect on body weight or overall disease risk long term. We’ve all fallen in love with adorable pudgy babies enamored with their soft and puffy look. Did you know it’s the fat under their skin, that makes them, (and us), look so soft and puffy? Cute in babies, maybe not so cute in us. It may sound obvious that eating fat would give us even more of it. The fact is, it doesn’t. It depends entirely on the context. Diets that are high in both fat and carbs can make you fat, but not because of the fat. Eating fatty foods won’t on its own make you fat. It is a necessary part of any healthy and balanced diet and also signifies health when it’s distributed in the right amounts and locations. Of greatest importance is that fat is our fuel tank and protects us against starvation. What is the Primary Cause of Excess Weight? Dr. Mercola reminds us that “eating fat will not make you fat! The primary cause of excess weight and all the chronic diseases associated with it is actually the consumption of too much sugar — especially fructose, but also all sorts of grains, which rapidly convert to sugar in your body.” He says that “If only the low-fat craze had been a low-sugar craze, then we wouldn’t have nearly as much chronic disease as we have today.” I couldn’t agree more! Adding whole-food fats like nuts, seeds, avocado, coconut oil, fish oil and full-fat dairy to your diet, are both healthy and satiating. Have you found that they also help you feel full for longer? Do you know people who rationalize putting French fries and almonds in the same category simply because both are high in fat? Unfortunately, that thinking doesn’t work. Why? Foods like French fries don’t fill you up and don’t contain other useful nutrients the way foods with high-quality healthy fats do. Ultimately, diets that are high in fat (but low in carbs) consistently lead to more weight loss than a low-fat diet. That’s even when the low-fat groups restrict calories! Something to think about as you plan your meals? As it Turns Out: Eating fat doesn’t necessarily make you fat. The fattening impact of dietary fat completely depends on the context. A diet that is high in fat but low in carbs leads to more weight loss than a low-fat diet. Anything new for you in this piece? Look forward to hearing about your ‘dietary fat’ experiences in the comments. What Health Myths Are You Curious About? If there are any health myths or topics you’re curious about, please let me know in the comments! I love researching and sharing information with you. It would be great to include yours in an upcoming post in this ongoing health series. I uncovered so many of them doing my research! That Myth no 1. Really shocks me, all of my life I always believed that fats specifically saturated fat is the main source of heart attacks or heart failures but after reading this article it gave me 2nd thoughts, Although I made me suspend my judgment regarding saturated fat I don’t completely believe that saturated fat do not cause heart diseases, may I’ll look into it more further and get back into this blog. Thanks for this informative article! It’s incredible how there is so much information that we come to believe, that later gets disproved, yet we still make choices from it, Kates. The saturated fat myth is so prevalent in our society and a lot of harm has been done to many people’s health. I really appreciate you checking into this more for yourself, and hopefully you can change courses and your diet to reflect what feels right and resonates with you. I appreciate you stopping by to read this post and to take the time to comment! I can’t help but wonder if we would be healthier if we ignored the “health fads” du jour in favor of just clean living. I’ve seen so many do this, don’t do that pieces of advice that have since been debunked. Jennifer Quisenberry recently posted…Why Read Harry Potter? The challenge for all of us, Jennifer, is to not buy into the ‘health fads’ du jour and yet so often there is much hype and marketing invested in them, that they take hold of the mass consciousness. There truly are many, many once believed ‘truths’, that have now been debunked. Makes you wonder…doesn’t it? Great article Beverley, I like how you address all the myths. It really makes you wonder when the health and nutrition people provide their health guidelines and then to be proven wrong. I always loved eating butter over margarine. But, now I’m eating more avocados and using avocado oil for cooking. Thanks for information everyone how healthy the right kind of fats can be. With things moving so quickly these days, I guess it does make some sense that expert opinions and information, is constantly being challenged and upgraded. Some the info was never true in the first place, which is a sign of how quickly something new can take hold in the public consciousness! I have never eaten margarine, but love butter! Using avocado oil sounds very interesting to me, as you are correct, avocados are one of the healthiest foods we can eat. Glad you enjoyed this post on healthy fats and also to hear how on track you are with your own health! One of the advantages of aging is having the privilege of seeing many “truths” fall by the wayside. Hell, people knew it was true that the sun revolved around the earth. Until it was proven otherwise. I take virtually every new “truth” with a (figurative) grain of salt, knowing that if we just did things in moderation, we’d be so much healthier. I agree with you completely, Jackie, about seeing how many ‘truths’ are just no longer truths! Although the world is changing rapidly, it really is up to us to find what works for us. That old saying about ‘all things in moderation’, seems to still have a lot of truth to it too. I’m very curious about all the current turmeric buzz (as an anti-inflammatory). Robin Roberts mentioned that it’s part of the her health regime and the Internet blew up! It’s now even carried by Costco. But, is it just another fad like green coffee extract and oat bran? Hi, Kimba! The buzz about turmeric isn’t just a fad! The issue is that most brands do not have enough absorbable potency to actually do the body any good. As I talked about in my first post, not all supplements are created equal and unfortunately, many people are ‘flushing’ their money done the toilet because the supplements they are buying, aren’t delivering the nutrients they claim to contain. The brands at Costco are among those. Curcumin is both an anti-inflammatory and an antioxidant and I will be writing about this in the near future, but for now, here’s a single statement from the USANA scientists: “Curcumin serves as an anti-inflammatory by inhibiting molecules that would trigger inflammation if they were released and free to act as normal.” Stay tuned for that upcoming post… Thanks for asking too, as someone else suggested I debunk myths about curcumin and cinnamon. This is an informative and well-written article, Beverley. Also, it’s been interesting reading the thread and the various opinions expressed. Understanding our body and what works for our body type is definitely essential. My husband can eat the same things I do and he stays almost as slim as the day we got married 40 years ago. I, on the other hand, am a totally different story. In addition to your research and the supporting evidence on the need for proper fats to be in our diet, I recently read where the theory now is that lack of fats in the diet can contribute to early onset of Alzheimers disease. Whether that’s a myth or not is yet to be determined. Thanks so much, Yvonne! I appreciate your kind words. 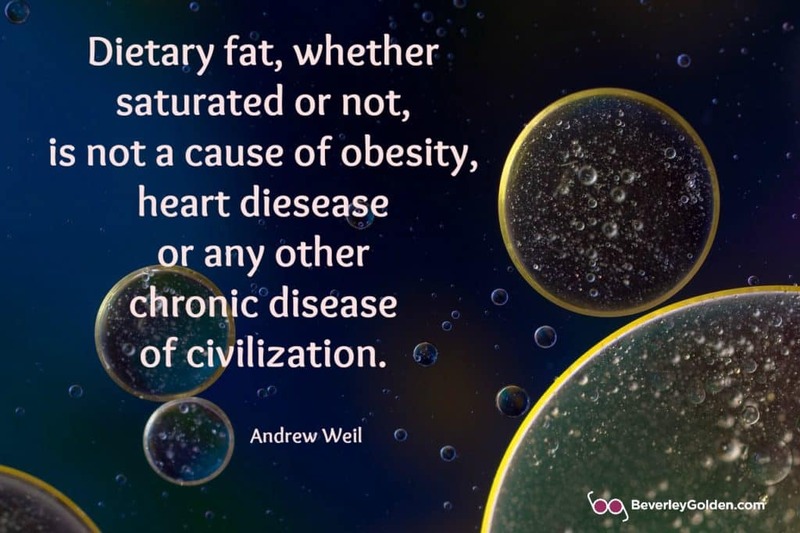 There are a lot of things that people believe about dietary fat and I am happy I can bring this conversation to the forefront. I also believe that we are individuals and it is up to us to find what works for us. You have the perfect example with you and your husband, as what works for him, doesn’t’ work for you. Fats and brain health are another huge topic. Yes, fat plays a crucial role in brain health and recent research is pointing to the fact that low or no fat diets could be contributing to brain diseases like Alzheimers and even Parkinsons. I think that would be another wonderful topic to research and share with others too! Thanks for mentioning it! Our brains, the organ that needs the most energy, needs fat. There appears to be evidence that low fat might have some correlation with alzheimer’s disease that is on the rise. I know for me, getting the sugar under control made the biggest difference in my health. Absolutely the truth, Karen! Our brain really does need high-quality fat to function optimally. I think that is another myth worth debunking in the future too. Unfortunately so many people have compromised their health by cutting out fat. I agree with you that it is sugar and getting that under control that will help people see the greatest improvements in their health. I realized that when I was preparing for my move back to the USA a few months ago I let a lot of my health habits slip. I was definitely craving unhealthy things – especially sugary treats and carbs! When I finally stepped on the scale again, I was not happy with what I saw. I felt bad because I knew that a lot of my weight gain came from my habits. I really loved this article because you pointed out some things that people believe to be true, but actually aren’t. It is important to educate people that good fats are essential to our diet. I am trying to cut back on my butter intake and increase healthy oils instead. I was actually a bit surprised about myth #2! This post was very well written and I am excited to read more! I would love to read about whether or not our metabolism slows as we age. I am sure there are some myths there! It’s so wonderful that you are highly aware of the things you need to change to get back on track with your health, Anna! There really are a lot of myths about health, foods and all things in between. Butter is actually a healthy saturated fat, but high-quality vegetable oils are also good sources of healthy fats. Olive oil is a monounsaturated fat and lots of people love adding that to their diet. Yes, good fats are essential to our health and without them, there are many disease risks we face. Glad you were surprised by myth #2, as I am happy to know I shared something new with people.Thanks for suggesting I research about metabolism and aging. Stay tuned for a future article once I research that! Wonderful article Beverley! I subscribe to a couple of science journals in conjunction with my research on resilience and I’ve read a few of the studies that attempt to address these types of myths. When I was a kid I had a weight problem because I tried to eat my anger, then later as a teen and young adult I tried every fad diet around. Eventually, I found my own strategy – portion control. I no longer diet and just try to focus on eating a healthy balance of different foods. Thanks so much Marquita! I know that you are also a researcher and I appreciate hearing that you have been debunking myths for yourself and your work too. The key is exactly what you mention. To find what works for us as an individual and if it is portion control, then that is the perfect choice for you. It’s great that you are aware enough to eat in moderation and focus on a balance and variety of healthy foods. Are we ever going to debunk all of the myths? Some fats are a part of a healthy diet, so they tell us today. I’ve been living from the view that I pray before I eat and then I eat most anything in moderation, although, according to my naturopathic doctor, I eat really healthy. One the reasons I put that quote at the beginning, Rachel, is that I truly believe that health really is highly personalized and individual. The medical profession often treats health as ‘one-size-fits-all’ which is not true. Will we ever debunk all the myths? Great question, as it seem things are moving so quickly and what was the ‘truth’ even a few years ago, no longer is. It sounds like you are highly aware and conscious of what works for you, and that you are reaping the benefits of a healthy diet and lifestyle. I’m so glad you’ve put the record straight for fat, Beverley. A balanced diet and proper lifestyle changes keeps the kilos off. I remember a few years back when the good old egg was in the news for all the wrong reasons – many of which have since been recognized as being wrong. It’s time dietitians and doctors stopped concocting diets for writing bestsellers and creating programs and taught their clients and patients the proper methods for healthy living. Thanks, Vatsala! Yes, that ‘misinformation’ about the egg many years ago, really did a disservice to many people who love eggs and obviously to the egg producers too! As it turns out, eggs are a great source of both fat and protein. The issue as I see it is that doctors and nutritionists are not as up-to-date as they need to be. Things are changing so rapidly that it almost seems we as individuals can do as good a job for ourselves in choosing what is healthy and works for us! Really interesting and nicely written! Thank you! It’s so great that you’re getting this information out there, Beverley. (I’m sharing it with my tribe.) The most unreliable place to get health information from is the government. We each need to be responsible for our own health. Thanks so much Carol! I really appreciate hearing that you found this information valuable to get out to the world. Thanks for sharing with your tribe too! And yes, the government seems to be the most unreliable place to get our health information from. And yet, so many people see them as the be-all-and-end-all and follow their suggestions. We definitely do each need to be responsible for our own health. We are in agreement on many things indeed. A GREAT ARTICLE that is important for health and reasons that affect everyone. The tips are great and we all process food differently, but overall an important health tip is that fat can cause heart disease. Also , genetics can play a role so getting checked is a good idea. Thanks so much for your kind support of this article, Lori! I really appreciate that it struck a chord with you too. Yes, genetics can play a role, although the newer research is showing that heredity and genetics are only 30% of the overall picture, so we all have many more choices when it comes to our lifestyle. There is so much to say about fats and carbs in a diet, it’s hard to know where to begin. When low fat, high carb diets became popular, the low fat foods had a lot of sugars added to them in order to help then taste better & the carbs that everyone was eating up were not the “right” carbs. Next came the high fat low carb diet; yes people were losing weight but studies do still show that too much saturated fat is not good for you (I agree we do need some saturated fat for the integrity of our cells) and the healthier fats are the way to go. Low carb is also not healthy, low on processed foods/carbs is very beneficial. I think it’s important to note that fruits and vegetables are carbohydrates. How much to eat depends on the individual and their body composition as well as their activity level. I can’t even begin to count the number of clients I have had over the years who were stuck in the low carb/no carb/high fat mentality of dieting and had not only hit a plateau but were also starting to put weight on. This is because they were not listening to their bodies but just following a plan that wasn’t sustainable. Thank you for your expert addition to this conversation, Lisa! I imagine you have seen so many people who are living their lives with misinformation and how it is impacting their health. The key is balance and finding what works for us as an individual. I’ve come to learn that what works for one person might not work for another person. Individualization and customization are what it sounds like you recommend as well. Many people do not even know how to listen to their body either. Yes, we all need exercise, and healthy balanced macronutrients to optimize our health, and thanks for adding that the key is making sure to focus on good fats and good carbs. And yes, people do lose weight even when they increase the things they often are cutting out of their diets. Lots to talk about with this topic. Thanks again for contributing to the conversation! Beverley a very informative article! I don’t know how a study that is so crucial to our heart health can get such a confusing scientific study for such a length of time. Just enough time to damage the many generations that were unknowingly used as Guinea pigs. Hopefully now people will read articles like yours and get informed. Unfortunately though politics can get in the way of good information and it becomes all about the money. We just have to stay mindful. I’m so glad that there is a better understanding of the fats we need now, the good fats and bad fats. We were literally starving our bodies of fats and when we couldn’t take our fat cravings anymore, we did the most convenient thing and ate all the wrong foods that were readily available. LDL low fat foods, sweetener laced foods and lots of bready carbs. This sentence needs to be repeated and ingrained into our heads, a diet high in fat and low in carbs will bring weightloss. Thanks so much for this very astute comment, Gilly! I can tell you have a really good understanding of what is happening and that it is actually harming people, instead of helping them. Yes, there are many reasons the inaccurate information continues to proliferate in the popular consciousness. It does come down to each of us doing our research and finding the truth that will work for us as an individual. So true that it is sugar and not fat that has been the culprit all along, and yet so many people still don’t want to hear it. We do have a nation of sugarholics and the resulting diseases caused by it, are astounding! Appreciate your thoughts on this! You know Bev… this is so right on girl. Every BODY is different and everyone is different… what works for one may not work for another… and our bodies react differently… and as someone who struggles all the time, all my life.. it’s great to know… it’s okay.. find what works for me. I’ve always believe that we are all individual, Kristen and the one-size-fits-all approach to health and diet…just doesn’t work in the short or long run. I’m happy that you are listening to yourself and finding your way through your struggles. There is always a way and for each of us, we just have to find the way that works for us! Very helpful post, Beverley! It is a shame that we get such different and conflicting information every few years, but what you wrote here makes sense, and it’s healthy, so I’ll go with that. I feel fortunate that I got into some generally healthy eating habits as a teen and those have stood me in good stead, generally speaking. What I’m seeing more and more in my ‘Healing Outside the Box’ series on Paint Yourself Into the Picture is how standard Western medicine can be weirdly divorced from a concept of overall health, and the effects of diet (other than as a control for a particular symptom such as obesity or diabetes). I hope the awareness shifts and health is prioritized over corrective measures against illness, though, of course, those are needed as well. So happy this info makes sense to you Reba, in spite of all the faulty information that is still floating around and embraced in the consciousness. It’s wonderful to hear that you are relatively healthy and that you learned that early on and were able to stay with it. Decades ago we knew too much sugar was not a good thing but then the saturated fat argument came into play and it seemed people forgot about the dangers of sugar. We were faithfully buying low-fat yoghurt and everything else, not realising they had more sugar than their full-fat cousins in order to make them taste OK. It’s great you are setting the record straight and I’m enjoying this series. Looking forward to more. You’ve got this issue pretty clear in your own mind, Tami! Happy to hear that you ‘get’ that sugar is more of the culprit than fat ever was. Unfortunately many people are still in that myth mindset, not realizing they could be putting their health in danger! So happy you are enjoying this series. The researcher in me loves uncovering the information and sharing it, so I appreciate hearing that you are enjoying it too! Another top notch blog on a confusing subject. Honestly, I could not retain what fats were good for me or not but do check the lists to ensure I generally eat healthy. We did follow a Dean Ornish diet years ago when Herb had a heart attack. I liked it but he did not. I don’t follow any particular diet & I know I have fat in my diet. If you’ve followed the Dean Ornish diet, then you probably already are more aware than you think you are, of which fats are good for you, Roslyn. It can be very confusing, mostly because the ‘fat myths’ seem to have permeated the mass consciousness. You sound like you are making a concentrated effort to be healthy and to eat healthy, and that is always the first step to being healthy too. Appreciate hearing you found this a ‘top-notch blog’ too. Thank you! Great post about busting myths! I find that olive oil instead of butter works best for me. I have issues with having butter on a regular basis so I stick with other fats. To watch how much fat I use, I use a proper olive oil pourer and it works nicely to control the flow of olive oil from the bottle. I am looking forward to your other posts. Thanks so much Sabrina! Happy you are enjoying this series on health myths and that you are looking forward to reading more. These myths about fat are so prevalent in our consciousness and yet can do so much harm to those following them. Olive oil is a great fat and although I do use butter, I know olive oil is highly recommended as a very healthy fat. It’s great to hear that you are also conscious of how much you are using and have the perfect method for measuring it too. Isn’t it amazing how the thinking has changed, Beverley. I was in the fitness industry when high-carb/low-fat was the “only” way to go. And yep, now we know it’s the glycemic index that matters. 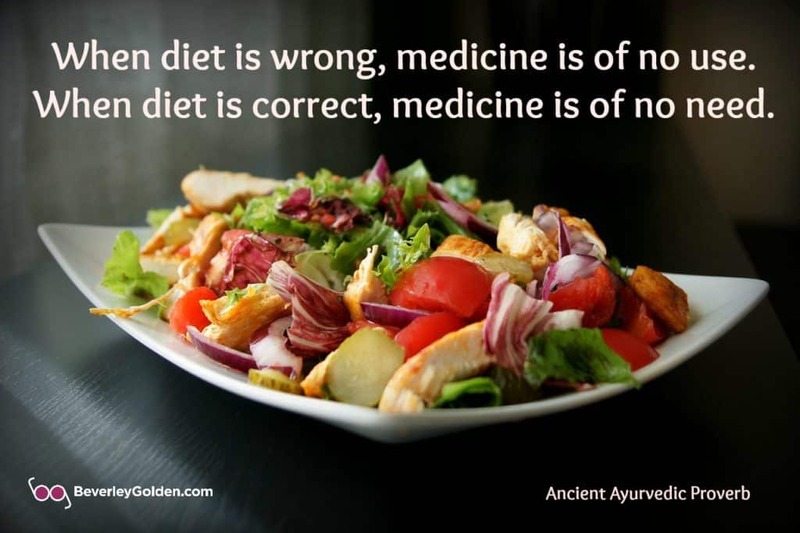 Just LOVE the Ayurveda quote! It must have been a very interesting time to be in the fitness industry when the low-fat/high-carb diet was so widely endorsed as ‘the only diet’ to follow. Now we do know that fat itself is not the culprit and that even carbs might not be as healthy as thought either. Yes, I really love the Ayurveda quote too! Happy you noticed it. Lately, I have been thinking a lot about the impact of carbs on my body. Some people thrive with carbs but not me. I get sluggish. As someone who has never done well with carbs either, Renee, I say listen to your body and do what feels best for you. Sounds like you are on that track for yourself now too.